Painting is something we do on a very regular basis in our Early Years classes. Most children of all ages love to paint and we, the Early Years educators, believe that they should be given many opportunities to do so using a variety of painting tools, materials and techniques. Not only is painting fun, but it also helps to develop children’s fine motor skills, promotes creativity and is a wonderful way to express thoughts, feelings and ideas. 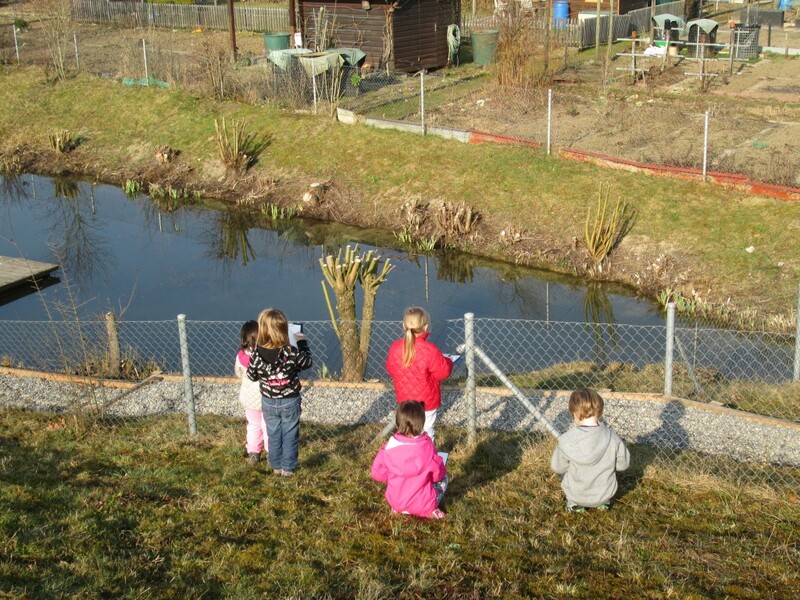 Last week the Spring weather was glorious and we felt motivated to enjoy our learning experiences outside. We thought it may be fun, interesting and inspiring to paint outdoors for a change. 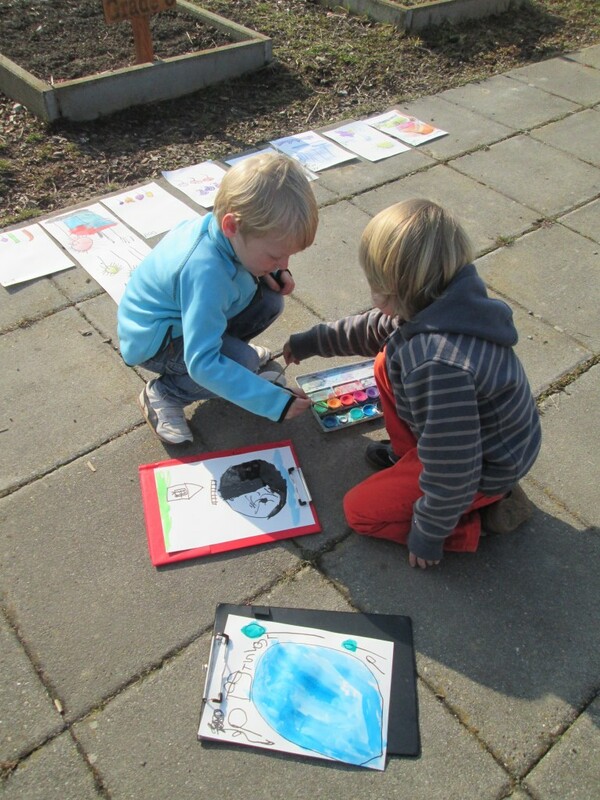 Being outside in the natural sunlight in our local environment appeared to further stimulate our artistic creativity! We invited the children to paint whatever they found fascinating, appealing or thought-provoking. They had the freedom to roam and observe the outdoor environment as a huge artist’s canvas! 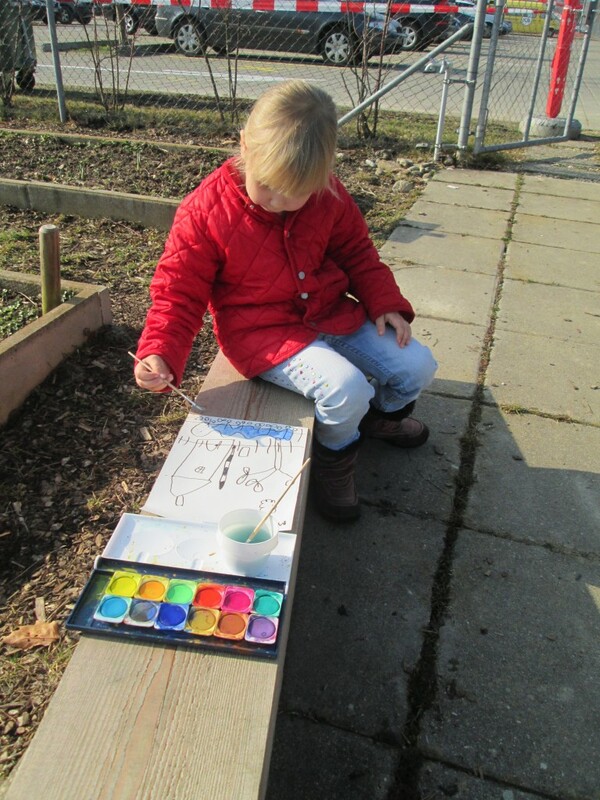 The children were excited to be painting outside and many felt enthused to do more than one painting. The outdoor experience certainly appeared to help foster the children’s passion for painting.